WVS offers a package of diapers to parents who lack the financial resources to buy them due to an unforseen circumstance. Emergency and specialty clothing is available. A voucher will be issued to the WVS Clothes Shop for emergency clothing if we can verify the emergency, or the voucher will be written to purchase uniforms, safety shoes or other work-related clothing if we can verify the employment opportunity and if we can verify the indiviudal’s lack of funds to purchase the clothing. WVS has partnerships with many area agencies which provide services we do not. 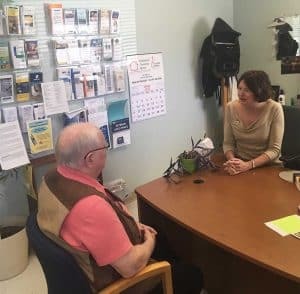 Some of the available resources we can connect someone with include assistance with utilities, child care, employment, food support and rides to medical appointments. WVS offers limited rent and mortgage assistance on a one-time basis to qualifying families and individuals to cover housing costs in times of financial crisis. WVS helps transient and/or homeless individuals make arrangements with local and out-of-area shelters for temporary lodging when the individual has no available resources. WVS provides city bus passes, gasoline vouchers and bicycle vouchers to individuals in need of transportation, especially to help them get and keep a job. We also offer bus tickets to stranded individuals to return safely home. This program is a food source available to anyone without food or the means to purchase food. Food Shelf Clients must first get their monthly food before requesting emergency food. Click here for more information on the Supplemental Food Shelf.